No matter how stylish or fashionable furniture piece may be – it will not serve you well enough if material and assembly quality are low. So, you should start with evaluating the build and material quality first. A universal suggestion would be to choose genuine materials rather than man-made ones. If you have to stick to the latter ones because of budget or style considerations, pay your double attention to quality before you go on. The tip is particularly important for small premises. Each item you buy should not only be stylish – it should also be functional. At the very least, it should have basic functionality – that is, a bed should be comfortable, a storage unit should be spacious, and so on. Another equally important aspect is furniture compatibility with your interior. Even if you like the piece enormously, it does not mean that it will blend in with your interior. So keep a clear head and take some time to picture how your new fashionable furniture will look in your old room. It does not matter if you are working on your interior from scratch, or looking to buy just one new coffee table for your living room – you still have to consider what kind of accessories will make your interior design picture complete. Sure, it is not always easy to come up with a plan that would take every little detail into the account – but you should at least try to define the angle you are looking for. Even if your space is not at all limited, look for compact furniture rather than bulky one. A gorgeous selection of fashionable furniture can be found at Furniture in Fashion . This is one of the few e-commerce platforms that truly live up to their name. 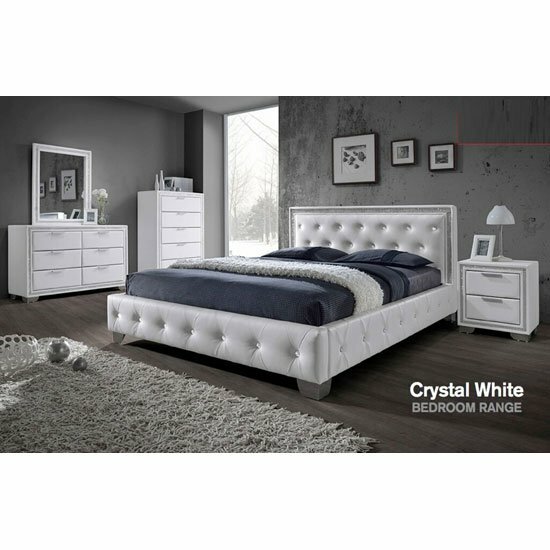 Apart from a great selection of stylish, contemporary furniture solutions, the site can offer surprisingly low prices – even if the items are sold at non-discounted tags. Yet, the best thing about this platform – for the UK residents at least – is that it offers urgent delivery all over the country. If you are ordering a small furniture piece, like a coffee table, it will be delivered within 3 business days. A bulky collection, like a complete bedroom or living room furniture set – within 10 days; something in between – within 5 business days.